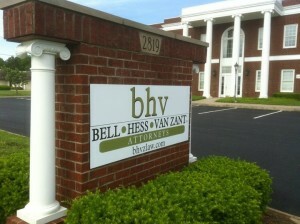 Bell, Hess and Van Zant, PLC, is an AV-rated law firm located in Elizabethtown, Kentucky. Our attorneys have been named to “Kentucky’s Legal Leaders – Top Rated Lawyers” and together they have over 80 years of combined legal experience. Integrity, honesty, professionalism, and our Christian faith are of paramount importance to us. Abraham Lincoln once said, “Resolve to be honest at all events; and if in your own judgment you cannot be an honest lawyer, resolve to be honest without being a lawyer”. 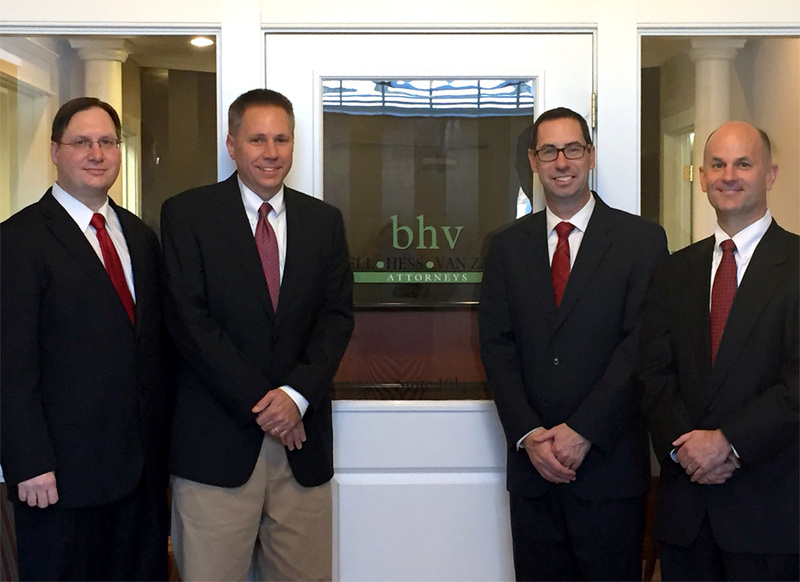 At BHV, we have passion for what we do and we view the law as a calling. We seek to provide practical, common sense advice and endeavor to offer the highest quality legal services at rates that are reasonable. Our attorneys and certified Kentucky paralegals handle routine and complex matters in both state and federal courts throughout Kentucky and Indiana.